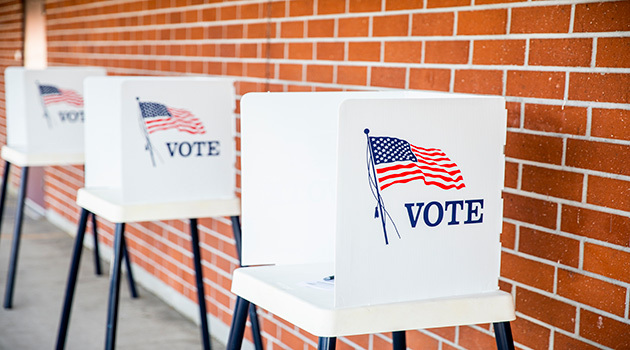 Residents of Nevada overwhelming voted in favor of automatic voter registration at the state’s Department of Motor Vehicles. Residents of Nevada have instructed the state’s Department of Motor Vehicles (DMV) to put voter registration in the fast lane. The results of the Silver State’s November 2018 midterms had automatic voter registration at the DMV winning by a wide margin. The measure, called Nevada Question 5, will completely flip the way the state builds its voter rolls. Currently, Nevada employs a version of an “opt-in” system, which means residents must proactively register in order to be an eligible voter. But the successful initiative will change that to an “opt-out” system, meaning any eligible voter will automatically be enrolled unless she or he specifically declines the action. The Nevada DMV will automatically enlist anyone issued a driver’s license or state ID. Anyone who goes in to renew their license will automatically have their information forwarded to the Secretary of State and county clerk’s office to keep the rolls up to date. Nevada now joins 8 other states plus the District of Columbia in adopting an automatic voter registration—a trend that has escalated over the past 2 years. Still, the idea isn’t without its defectors. It recently caused an uproar in neighboring California when it was revealed—just weeks before the midterm elections—that the state's DMV potentially botched tens of thousands of registration forms. Indeed, the idea got pushback within Nevada itself. A law passed by the state legislature to begin the program was vetoed in 2016 by Governor Brian Sandoval. He said it was problematic and unnecessary, as residents have “many other opportunities” to register. Following its official rejection, the idea got a second shot in Nevada when a number of political groups secured enough signatures to introduce a ballot initiative, proving that even in the land of Las Vegas, going double-or-nothing can sometimes pay off.